My work is about people, space and interaction. I use music as the tool to bring these three together. Whether leading a creative workshop with young musicians, singing and dancing with parents and their babies, collaborating with other artists, performing with my trio or curating an event/gig, the underlying principles are the same. It’s about creating spaces that bring people together where an engaging musical experience can be shared. I'm interested in small change, the spread of positive impacts from seed starting points. 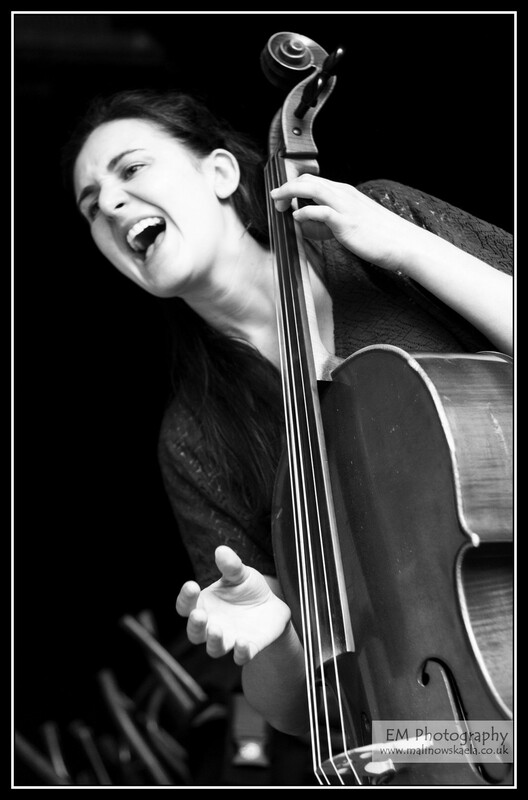 Tara plays cello, sings and collaborates in a variety of cross genre and arts contexts. Since completing an MMus in Leadership from the Guildhall School of Music and Drama in 2009, she has worked with artists including Kate Tempest, Akala, Jocelyn Pook and Shammi Pithia. She composes & performs regularly with her contemporary trio Quest Ensemble with Preetha Narayanan and Filipe Sousa and evolving string duo Balladeste. Tara is also commissioned to create sound for theatre and visual art installations. An important part of Tara’s work involves leading participatory creative projects and training in collective creativity through collaborative composition/improvisation, percussion and vocal work. She has worked for organisations including Barbican, Aldeburgh Music, Royal Opera House, Serious, Kobe University, Japan and co-founded an on-going song writing project/training programme in Mexico City, Sunland Express. She is currently the Creative Consultant for Islington based charity Music First. Alongside all this a primary focus over the last couple of years has been the growth of her own social enterprise - SoundsCreative Projects, with a vision to connect people of all ages through creative musical experiences. Following a recent trip to Korea (invited by KACES) to share the ideas/methodologies behind SoundsCreative more exciting projects and collaborations are growing both artistically and within the community. Classically trained, Tara studied cello performance at Leeds University under Anna Shuttleworth. She then moved to Italy having been awarded a place on an EU funded chamber music course in Saluzzo (North Italy), and subsequently spent another year and a half playing with the Orchestra Giovenile Italiano in Florence. In 2007 she undertook a two year part-time MMus in Leadership at the Guildhall School of Music and Drama, where she was able to develop her skills in playing, collaborating and leading creative workshops with all ages. Tara has also spent time in Senegal and The Gambia studying djembe drumming, and in Bali playing the Gamelan. Having worked in education since 2003, with a PGCE from Homerton, Cambridge, she originally taught whole class Primary (KS2), her plan always being to take this experience and training, mix it with her musical upbringing and move into working with people and music. In her first full time position at Gillespie Primary School, Islington she made it her mission to create a culture of music within the school through community inclusion, workshops, starting up whole class instrumental initiatives, running music performance and working with outside arts organisations. Throughout this time she worked with Arts First Islington writing and piloting whole class instrumental schemes. She continues to work closely with the team, now leading INSET training for teachers, running mass events including Pure Voices (schools’ vocal festival at Union Chapel) and leading the Arts First Community Choir. In 2010 Tara was invited to lead the first taster session for the Islington based charity Music First (a project inspired by El Sistema, Venezuela). Appointed Music Advisor/Creative Leader, she continues to work for the organisation as singing leader, orchestral conductor and composer/arranger. She also leads and coordinates creative projects working with outside ensembles and co-produces large-scale concerts at venues including Hackney Empire, Union Chapel and Royal Albert Hall (Schools Prom) and N4 carnival parade (with Islington Arts and Media School).